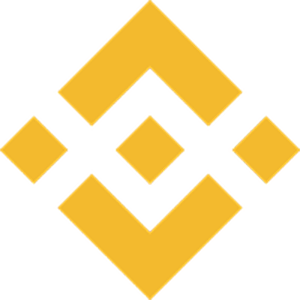 From the ICO, Binance issued its own token called the Binance Coin, with BNB as the symbol. BNB runs natively on the Ethereum blockchain and follows the ERC20 token standard.The token was established with a total supply of 200 million. As per our whitepaper, Binance plans to use 20% of our profits each Quarter to buyback and burn BNB, until 50% of the total BNB supply (100 million) is burned. The BNB token itself has multiple forms of utility, essentially being the underlying gas that powers the Binance Ecosystem. The current most prominent use cases include using BNB to: - Pay for trading fees on the exchange, obtaining the equivalent of a 50% discount on trades (during the first year). - Monaco has included support for Binance’s BNB token to its platform which includes the Monaco Visa Card and mobile app. - Uplive platform supports BNB to buy virtual gifts. BNB Value & Repurchasing Plan 1. You can use BNB to pay for any fees on our platform, including but not limited to: Exchange fees, Listing fees, and any other fee. When you use BNB to pay for fees, you will receive a significant discount: 1st year: 50% 2nd year: 25% 3rd year: 12.5% 4th year: 6.75% 5th year: no discount 2. Repurchasing plan Every quarter, we will use 20% of our profits to buy back BNB and destroy them, until we buy 50% of all the BNB (100MM) back. All buy-back transactions will be announced on the blockchain. We eventually will destroy 100MM BNB, leaving 100MM BNB remaining. Decentralized Exchange In the future, Binance will build a decentralized exchange, where BNB will be used as one of the key base assets as well as gas to be spent.